Charging should be everybody's priority now, particularly in Hong Kong. EV charging enabling our car parks is not a simple task, but Hong Kong has solved this problem before and we can do it again. Back in the 60s and 70s, when air conditioning first arrived in Hong Kong, none of our buildings could support the power demand, and the electricity providers didn't have enough generation capacity. CLP, HKE, and building management worked together to solve that problem; so that today around 40% of our electricity consumption is air conditioning related. Nowadays, we have better technology, and are better able to plan and implement the improvements necessary for universal charging. Intelligent load management and flexible metering arrangements are the key to this, and both technologies are available today. The best place to charge your electric vehicle is at your home / work parking garage. Such long-duration charging is more flexible and can use lower power circuits, when compared to opportunistic charging. This also opens up the possibility of Vehicle-To-Grid and how we can use these vehicle batteries as a resource to flatten out peak loads on our electricity grid. NOTICE IS HEREBY GIVEN that the annual general meeting of Charged Hong Kong will be held at the office of Network Box Co., Ltd, 16/F Metro Loft, 38 Kwai Hei Street, Kwai Chung, Hong Kong, on Wednesday 19th April 2017 at 7:15 pm. Snack food will be provided to voting members attending. Public parking is available in the outdoor car park opposite the venue. If you will be attending in person, we ask that you RSVP to agm@charged.hk before 12th April 2017, so that we can ensure adequate seating. 1. The HK$97,500 tax cap equates to a vehicle costing less than HK$200,000 being 100% FRT free (40% of $150,000 + 75% of $50,000). 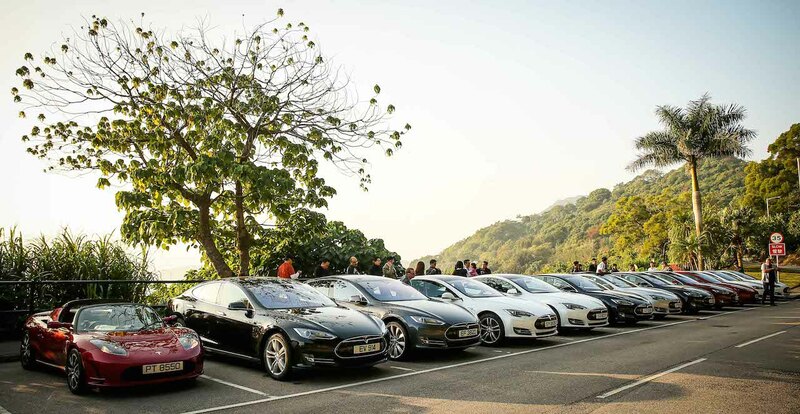 There are no private electric cars available on the market at that price point, so this new policy effectively taxes ALL electric private cars in Hong Kong. 2. Dr Paul Chan has indicated that the new policy is intended to support an electric car costing HK$400,000. Let's look at the BMW i3 for example. At HK$451,000 (tax free), that competes directly against vehicles such as the Prius Hybrid (Super Luxury trim level) at HK$353,500. The electric car, even tax free, is more expensive than the equivalent petrol car. Considering fuel savings and ignoring charging issues, still 51 of those BMW i3 were sold in the second half of last year. But, now that we have this new tax, and even with HK$97,500 waiver, the same BMW i3 costs HK$677,000 while the price of the Prius is unchanged. How will the BMW i3 compete in this market? 3. Tesla Model S clearly dominates the market. ii) the FRT of electric commercial vehicles (including goods vehicles, buses, light buses, taxis, and special purpose vehicles), electric motor cycles and electric motor tricycles will be waived in full. 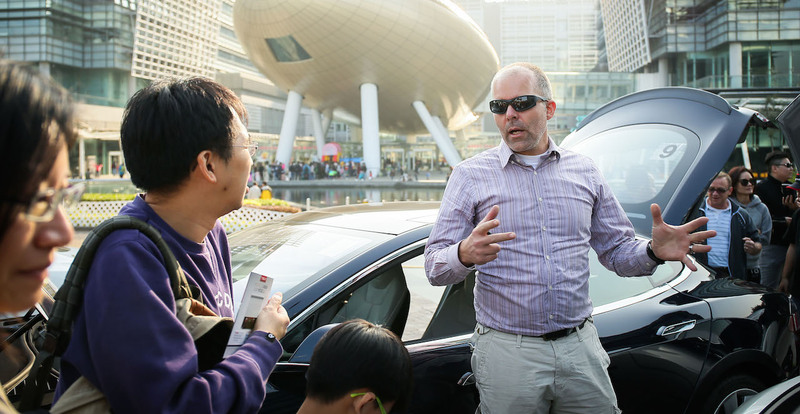 For more than 20 years, our government has been promoting and supporting the adoption and use of Electric Vehicles (EVs) in Hong Kong, primarily with a 100% waiver of First Registration Tax. This abandonment of that policy is troubling and will undoubtedly slow down the transition to sustainable transportation, and set back the excellent progress we have seen in recent years. The pollution from each new petrol/diesel vehicle put on the road today will be felt for the 20 years of that vehicle’s life. Future generations will have to live with the decisions that we take today, and this decision is simply bad for Hong Kong’s air quality and roadside pollution levels. Firstly, let's all stop to take a breath (not too deeply - remember our air is polluted). Sure, this is undoubtedly a setback for Electric Vehicles in Hong Kong, but does anybody really think we will be driving petrol cars in 10 or 20 years time? This government policy change will merely delay the inevitable, not change the end result. It is terrible that in the meantime, more Hong Kong people will have to get sick and die from our air pollution. 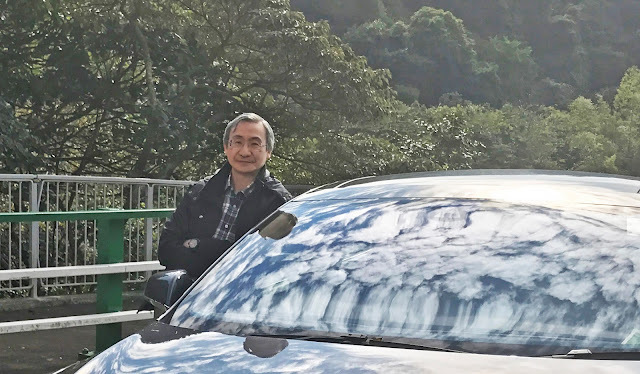 I'm not sure if this is political retaliation against John Tsang, or just a short-term cooling-off measure introduced in response to the dramatic growth in the number of EV private cars. Whichever, it is a short term measure for 1 year only. Many are reading that as a negative, but it could equally be a positive. To be clear, I am 100% against this policy change. The government's stated reasoning is control of private car ownership, but this penalises the 1% of the problem that is EVs, while not affecting the 99% of the problem that is the petrol/diesel vehicles producing the pollution. The purpose of EV incentives is to persuade buyers to purchase clean electric vehicles vs equivalent petrol/diesel polluters, not to cause growth in private car ownership. Locky Law (LL): It’s been awhile since our last Charged Hong Kong Members’ Story. Luckily, we have just the right Christmas gift for you all! 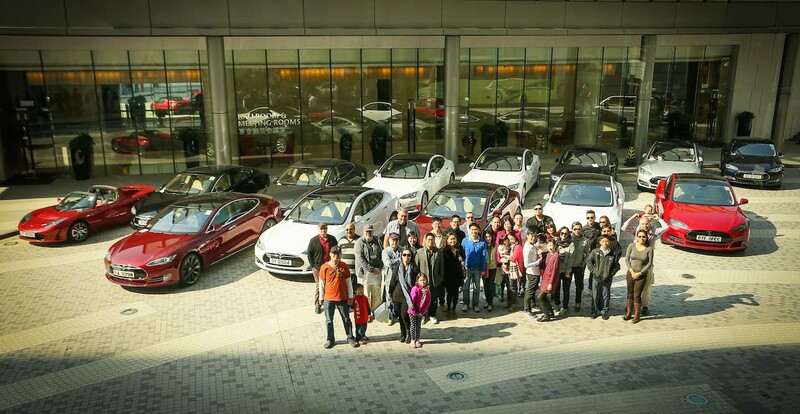 In Hong Kong, most family own one EV, this family owns two, what’s rare about it is they own a Tesla Model S and a VolksWagen e-Golf, both very new! Two EVs which are very different in terms of aesthetics and size. Let’s welcome Andrew and Lydia, who will share their exciting 'Tale of Two EVs" with us today. Thank you for your time Andrew and Lydia. Andrew Crampton (AC): Thanks Locky. Lydia Lee (Lydia): Thank you, Locky. LL: Lydia and Andrew, could you tell us something about yourselves first? WAVE EARTH 2016 - mission success! I am very pleased to announce that our dream came true and we have successfully set up the mosaic at the UN World Climate Change Conference, together with the the electric car race of FIA formula E in Marrakesh, Morocco, on 11-11. We have created a powerful message from more than 50'000 students from all over the world, that they are ready to do something and to reduce their CO2 emissions. So the world leaders should also take steps to stop global warming! - The world record for the largest greeting card mosaic was so far around 390 m2, and we measured that our mosaic was exactly 699 m2! - And we have also broken the world record for the greeting card with the most contrubutions. It stood so far at 13000, and we have received 50581! It will take around 3 months until Guinness will accept both world records, and then I will let you know. Read more about WAVE EARTH 2016 - mission success!